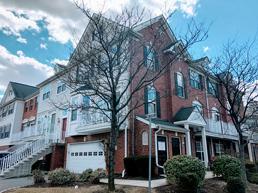 You'll love the layout of this 3-4 Bedroom Oxford Model Townhouse with gleaming hardwood floors and spacious rooms. This home features an open layout with a modern eat-in kitchen with granite countertops and SS appliances. The master bedroom offers a walk-in closet and spa-like bath with a 2 sink vanity, soaking tub and shower stall. Other features include central air, 2 Full and 2 Half Baths, 2 Car Garage + 2 Car Driveway, in-unit washer/dryer and access to the Droyers Point facilities. Don't Miss Out on this rare find. Available June 7, 2019. Tenant responsible for gas, electric, water and sewer. Call Maria Batista today for a showing at 201-369-0099. Approximately 1,866 sq. ft. Click on exterior photo to view interior pictures. NO PETS PLEASE. 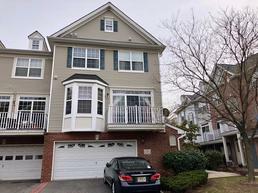 Spacious 3 Bedroom, 2.5 Bath Corner Townhouse with hardwood floors and three floors of living space. This home also features stainless steel appliances, jetted tub, family room, in-unit washer/dryer, central air/heat, 2 car garage with 2 driveway spots and guest parking. Approximately 1,866 sq. ft. Call Maria Batista today at 201-240-7117 to schedule an appointment. Available Now. Tenant responsible for all utilities. Click on exterior picture to view interior photos. NO PETS.